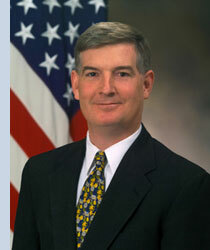 Former under secretary of defense for Acquisition, Technology and Logistics Ken Krieg has joined the Board of Advisors of TASC. Currently, Krieg currently oversees operations of his own firm, Samford Global Strategies, a firm specializing in strategic change. He is best known in the industry for his tenure from 2005 to 2007 as under secretary of defense for Acquisition, Technology and Logistics, and as special assistant to the Secretary of Defense and director for Program Analysis & Evaluation. Krieg earned degrees from Davidson College and Harvard University.